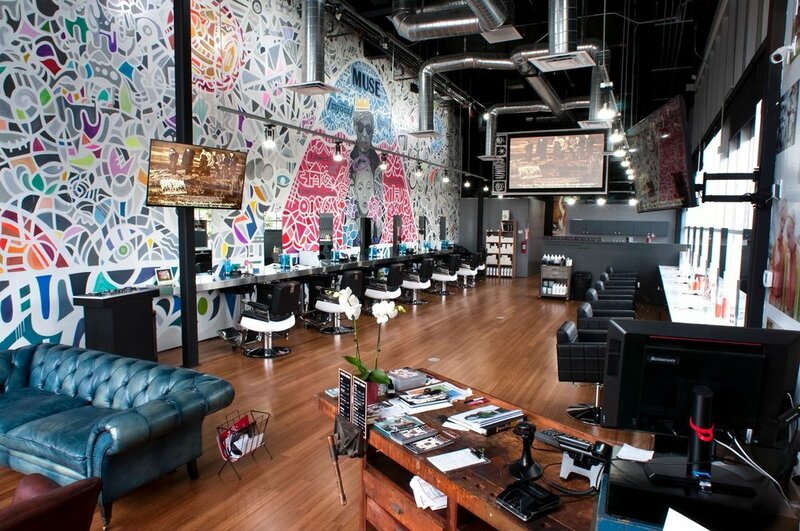 We are a Sydney-groomed hair salon, blow bar, and barbershop with creative flair. Our goal is simple: amazing style at affordable prices. With three locations in Sydney, Australia, we opened our first Stateside location in Culver City in 2015, rapidly becoming a destination for the greater Los Angeles area. Our team of expert stylists and barbers are committed to growing personally and professionally with our community. The talent of our staff is matched only by their passion to meet and exceed each clients unique and individual #hairgoals. The warm and friendly vibe makes you feel welcomed as soon as you step inside, which is home to colorful "I Love Ziggy's" stickers, leather chairs, and a one-of-a-kind 'Muse' mural by local Venice artist, Kelly M. Hogan.We offer complimentary Wine, Beer and Coffee, Free Wi-Fi, and a state-of-the-art Entertainment System while you lounge in our modern-vintage waiting area. Sign up with your email address to receive news and updates about salon specials. On May 17th, we had the pleasure of organizing a charming event at a salon soiree with ELLE Magazine and Wella Professionals. Los Angeles based influencers and press gathered at Ziggy’s Hair LA in Culver City, where guests mingled inside the beautiful salon and enjoyed light bites and champagne to the backdrop of great music provided by the DJ. Attendees each had the opportunity to get their hair done by one of the salon’s stylists, as well as pose in front of the step and repeat. Kylie Jenner’s BFF and snapchat co-star, Harry Hudson made an appearance as did Jaden Smith. Guests left with a gift bag courtesy of Wella. After an evening of socializing and pampering, they also departed with the latest issue of ELLE magazine. 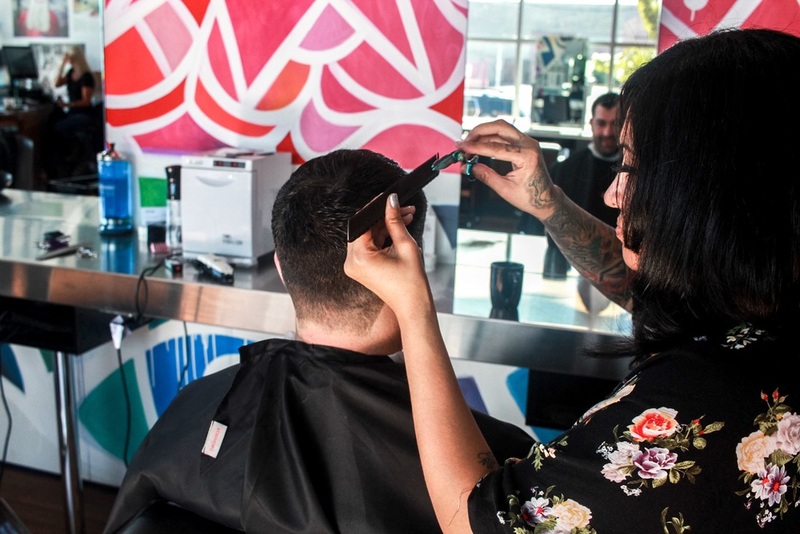 The guest list included notable attendees and fellow hair-enthusiasts like Allie Finn and Rose Curiel from Total Beauty as well as Catherine Kiene from Mane Addicts. Marissa Pomerance from The Editorialist, Porsche Simpson from the Hollywood Tattletale, and Gabby Chung from Celebuzz also made an appearance. Other notable attendees included Lyndsey Hogan from Dior, Kristin McGregor from J Brand, and Helen Robertson from Celestine Agency. The unique demographic of attendees also included fashion blogger Rossana Vanoni and Jessica Cohen from E! Entertainment. The event was definitely one for the books, check out our video below! © 2015-2017 ZIGGY'S BARBER SALON. ALL RIGHTS RESERVED.